Vintage label background with deers. Cute Deer Reindeer Caribou Cartoon Character. Isolated On a White Background Doodle Cartoon Hand Drawn Sketch Vector. 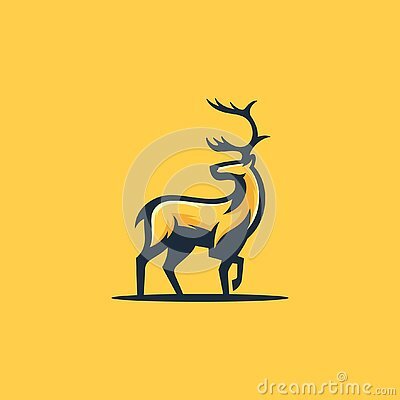 Black deer with great antler vector illustration. Heart with hands up. Vector heart icon. Heart symbol of Valentine`s Day.